Every organization has its own way of doing things, from scheduling meetings and booking conference rooms to signing emails and making conference calls. Within a few months of their first day, these are the skills every employee knows as second nature. Yet those fundamentals aren’t always obvious to your new hire — in all likelihood, they’re used to someone else’s way of doing things, and often won’t know the right steps to take at your organization until they accidentally stray from the path. Here video can be a lifesaver, helping your new hire find the information they need to get the basics right. 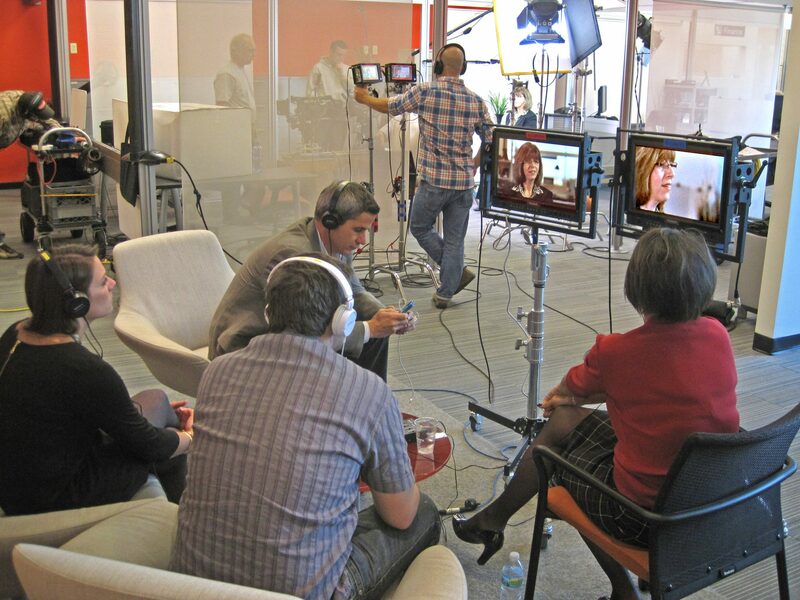 Even as remote training by video becomes commonplace, often there is simply no substitute for a live event. More and more organizations are finding that marquee events, be they internal-only conventions or industry-focused public conferences, are extremely valuable tools for sharing information, connecting employees with each other or the industry, and educating a large audience all at once. Attending these events can boost employee morale and engagement in a way that’s almost impossible to replicate during business-as-usual moments. But for oft-cited reasons of timing and budget, attendance is seldom possible for every event and every member of your team. When attendance isn’t possible, a video recording of the event can be the next best thing. Recording events — or even live-streaming them — can be a great way to share the excitement and insight gleaned from all those keynotes and breakouts, with anyone, anytime, anywhere. St Louis Video Crew has a diverse roster of world-class camera crews ranging from two-man guerrilla teams to blockbuster-scale production units and nearly everything in between. Our crews have backgrounds in feature film, broadcast television, documentary programming, commercial advertising, music videos, action sports, sketch comedy, live events, and corporate videos. St Louis Video Crew. All the gear you need. This creative diversity allows Indigo to select the ideal crew for each job based on that job’s specific objectives, constraints, and creative aspirations. Every St Louis Video crew, no matter the size, is staffed with highly-skilled and seasoned professionals at every position. A St Louis Video Crew will bring more than just their production talents, professionalism, and state-of-the-art equipment to the set. Our crews handle shoots ranging from single-camera sitdown interviews to epic multi-camera shoots with a small army of production personnel in multiple locations around the world. Allow our talented, experienced, and reliable camera crews to help you. Trusted by world news organizations, video producers, professional news bureaus, assignment editors, web producers, and clients like NFL Films and CBS, St Louis Video Crews professional broadcast media camera crews specialize in creative shot composition and lighting techniques. We have deep experience in multi-cam, drones, live and event shoots. We are dependable, flexible and insured with state-of-the-art equipment. We’ve covered the red carpet, breaking news, press conferences, and interviews with many types of famous people and organizations. Our crews are fueled by a talented staff, creative vision, and loyal client base. We produce marketing, training, corporate communications, events and other videos for a wide spectrum of companies ranging from international and Fortune 100 corporations to local start-ups and individuals. 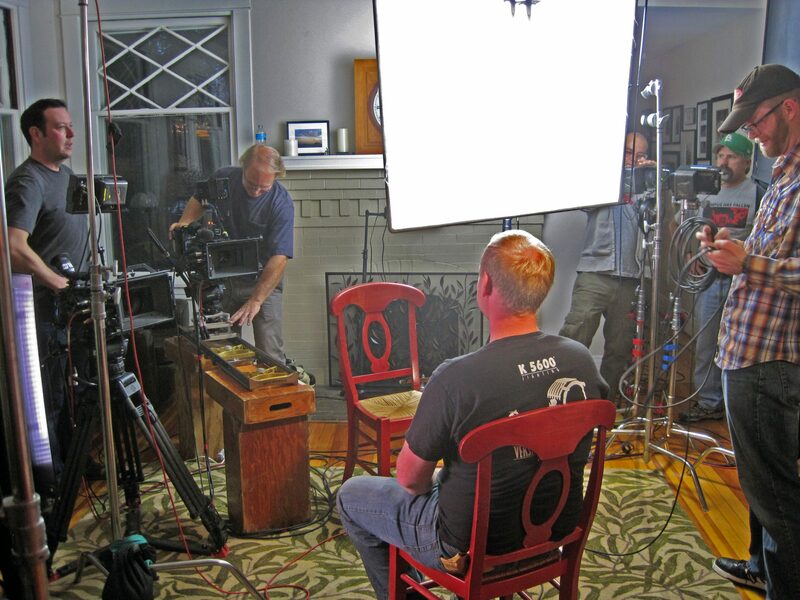 Professional Full Service Film and Video Production Crews in St Louis, Missouri. We are a full service company offering pre-production, production, editing, multimedia and duplication services. We are equipped with HD cameras, editing suites, teleprompters and more. From concept to completion, St Louis Video Crews will help you with any or all of your video needs. If you’re looking for a St Louis based video crew, or St Louis Video Production Company, with 4K and HD video formats, then you have reached the right creative team! With decades of national experience, and an avalanche of credits to boot, we strive for quality and professionalism. If you need video for your website, broadcast, or company event, we are here for you to fulfill your video crew and production needs. Accomplished Digital Cinematographer, Producer, Director, Jib Operator, Journalist, and Editor with a wide range of real-world professional experience in all genres of video production from Network broadcasts to small business web video. Experienced crews covering and coordinating for local and national entertainment, news, broadcast series, press junkets, behind the scenes, live shots, reality-TV, documentaries, concerts, commercial advertising, corporate image, websites, publicity and marketing. State of the Art, Professional Equipment, video cameras, audio, drones. We have quite a variety of gear and talent. Need Support? We can also provide camera crew members for any television, video or film production crew, supporting camera people, or production companies or producers. Teleprompter operator with prompter equipment. Production location sound mixer/sound recordist or boom operator. Gaffers or Grips for lighting & rigging. Makeup artist or ‘makeup person. Producer or Director. PA – production assistant. The world’s best companies turn to us to work with the best video crew in St Louis. We have proudly worked with major brands like Boeing, AB Inbev, Monsanto and firms of all sizes. We can match you with an experienced and fully-stocked film crew, nearly anywhere in the entire world. We’ll be assisting you with coordinating equipment, call times and any of the dozens of other tasks that go into making a location production go smoothly. We focus on the details so that you can focus on your production. Should you need a studio, well, we have that also. It is our goal to convey every client’s story in a visually succinct and engaging manner. We are the preferred choice for digital video production and we take pride in our attention to detail. If you only need a crew, we have all HD camera formats available for your project. Whether your shoot is in the field or in a studio, we will ensure that all of your production needs are met. In addition to complete HD camera packages, we offer a full spectrum of lighting and sound equipment. Two-person flight crew for drone aerial photography and video. Creating a new way to look at your world! Hire our drone crew. Our experience means business! Full service crewing capabilities for St. Louis. Our creative professional staff is small but we have all the skills and talent of the big studios. Our team consists of longtime production professionals skilled in the use of all digital formats using the latest techniques and equipment available. We are constantly evolving with the changes in talent and technology so that your video communications always looks its best, whether it is for sales, marketing or training. 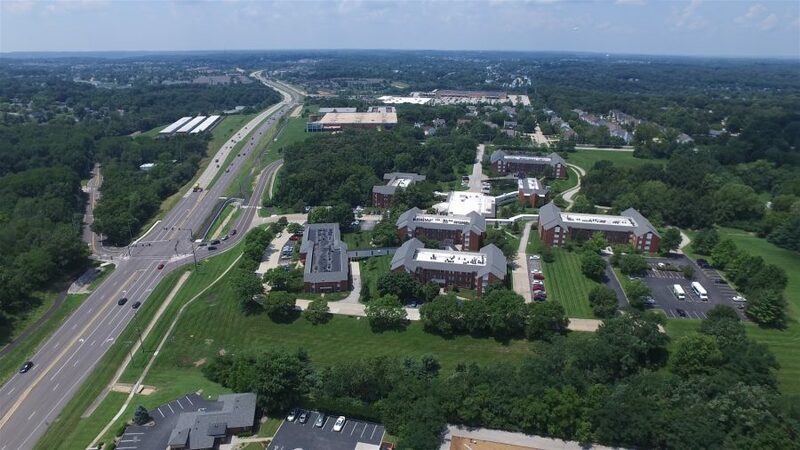 We can service your drone aerial film or video production in St Louis with an entire crew or support your project with the specific gear and talented people you need on your shoot. We will make it happen with the best talent and most cost-efficient video production services in the St Louis area. Thank you for considering our customized video services. We specialize in promotional videos that showcase your services to potential clients. We take the time to get to know our clients and work together to create videos that are meaningful and a good investment for their company. We are also storytellers with more than a decade of experience in broadcast and digital media. If you would like us to produce and film your commercial or news event, call or email us. Our rates vary depending on the filming time and the level of production you are looking for. We are based in St Louis but can travel to any location. We have our 333 exemption from the FAA as Safe-To-Fly. We adhere to all FAA guidelines. For safety and quality, we shoot with a two-man crew, and we are fully insured. Our pilot always keeps visual contact with the drone, while our navigator guides and directs the shot. Our Video clips are really High Definition HD at 4K and positively stable! St Louis Video Crew is a collaborative and crafty creative studio based in Saint Louis, Missouri. If you’re tired of wasting your precious time and marketing dollars on work that doesn’t…work, then you should call us. Specializing in visual storytelling, St Louis Video Crew is the go-to for brands that love pursuing and achieving awesome and loathe just checking the boxes. From commercials to corporate video and full development and branding capabilities to get your ideas out of your head and in front of your audience, we look forward to working alongside you and your team. 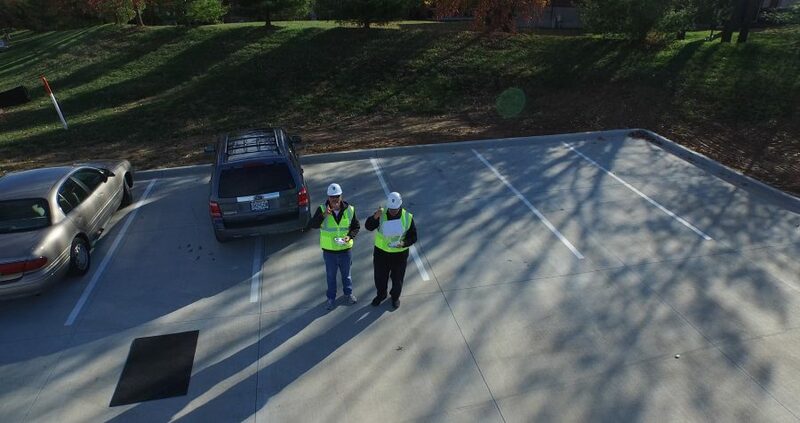 Production shot of corporate video taping in St Louis Landing Area. Our St Louis Video Crew has been involved preproduction and post production of the International Festival. Show me, don’t tell me. Corporate video is by far the fastest growing marketing tool in use today because it informs and persuades better than any other media type. Video is a visceral experience that engages the audience both visually and orally. Why just explain how your product works when you can actually show people using and benefiting from that product? Video is gaining popularity because it is the best means of conveying a great deal of information quickly to an attention-deficit plagued audience. Corporate video is particularly effective when you need to showcase the more intangible benefits of a product. Imagine trying to promote a corporation solely on the merits of a balance sheet. You couldn’t. You sell corporate performance by creating imagery that suggests the “promise” of that corporation. We are one of the country’s leading providers of video crew services in St. Louis for national television networks, TV programs, agencies and corporations. Our experienced full-time staff of talented professionals provides you the creativity and knowledge that your project deserves. Our services are orchestrated by our creative team so that you will always have our entire staff available to your team for all your needs. We are proud to present our clients with the highest level of production and post production services. You will see that St. Louis Video Crew will always provide you with the most responsive, personalized customer service in the industry. We want you to look at our professional team as an extension of your team. Creative Flexibility in St Louis Crewing! Tell us what you need! 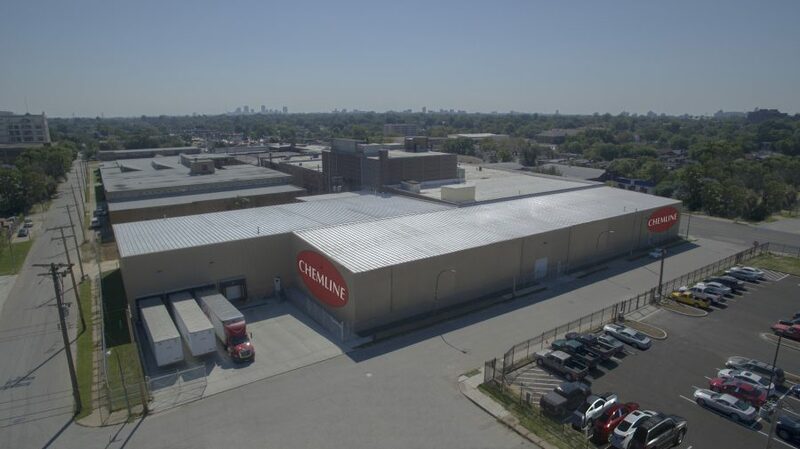 We offer turnkey production capabilities for your production in St Louis. From interviews to events, our crews have done it all. From a single camera operator to an entire production team, we’ve worked with some of the highest profile clients, companies and networks in the world. Our years of experience in broadcast television is brought to every production. We offer the best in quality, capabilities, experience and service. Audio techs, PA’s, make-up artists, teleprompters, field producers and camera operators are all available and can be booked with a single phone call. After the shoot, we can send the footage to you via overnight shipping or take it with you. Delivering experience, quality and service with every video production. Whether you need a camera crew, business video, webcast or other video project, our crew should be your one-call solution for video production needs in St Louis, Missouri and the surrounding region. We offer a full complement of production services using High Definition cameras to film your event, interview, product or story interview. If needed, we can also edit projects with the latest software and deliver your video as high definition digital files. While we work in a technology-driven industry, we never lose sight of our mission to provide a quality product, from interviews and promotional videos to webcasts and company overviews, that are effective, engaging and deliver results. St Louis Video Crew is a full-service corporate video production and brand communication company. We have broad expertise in developing and communicating corporate image, brand identity, mission and vision and corporate communications. We deliver specific message-driven communications to internal and external audiences. We have extensive creative and SEO experiences in all aspects of marketing video production. Our St Louis video production company has a vast amount of experience in Missouri. Our vast array of video services, includes producing marketing videos, that will entertain and educate the audience, corporate videos that will create compelling presentations. We also create and produce internet videos, customer service and sales training for your employees. 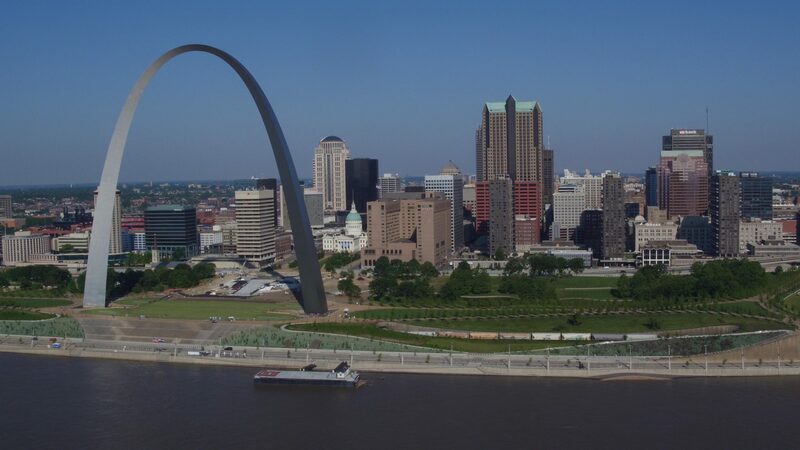 St Louis, Missouri, based St Louis Video Crew is available for ENG/EFP assignments in the Midwest region. We have been shooting for broadcast, cable and corporate customers since 1982. Our video crews are some of the best in the business. We have experience in all styles of video production. Documentary, news, sports, medical, corporate image – we’ve done them all! We also work with the best support freelancers in Missouri and Illinois. Call us if you have any questions about your location video production needs. If we aren’t able to help you we probably know someone who can! Appropriate facial expressions and hand gestures are critical to your performance. Loosen up . . . there’s nothing more distracting to an audience than a ‘rabbit caught in the headlights’ – the person who is frozen except for their moving lips delivering a speech. Use gestures and expressions to amplify your words, stress important points to show that you are passionate about what you’re saying. And move your head . . . but not too much! Our video post production services are targeted to small business owners and individuals who will benefit from a smaller video production company to edit their video. We’re home grown in St. Louis. All of our video post productions are done in house. If we are producing your video, your producer will log all of your footage that was captured. Creating this paper edit to follow the approved script or shot list is important to do before editing in the studio. From there, your producer will work to edit your video adding necessary graphics, animation or type on screen. Upon completion your video will be uploaded to a video repository for your review. This was a rather small crew of two creatives, Mike as the video camera operator and Rob as producer and lighting grip. The entire production was shot in a day and a half and part of an evening to get some night shots for the lighting company. This was a simple marketing video that would appear at tradeshows and on the web. A rather remarkable green building at the forefront of the conservation movement. Quality is the main objective at St Louis Video Crew. This is accomplished right from the start with our HD broadcast quality video cameras, vast experience in the industry and personal attention to detail. We are based in St Louis, providing local video production crews and services for local and out of town producers, directors, agencies and clients. Your next production will be an impressive work of art reflecting the professional image that you want to portray. St Louis Video Crew can work within most budgets while at the same time providing the highest quality video production crews and equipment in St Louis or throughout Missouri and Illinois. We want to make your next video production the most impressive ever. We are a full service, St Louis based video production firm. St Louis Video Crew provides complete full service video production, video taping, sound recording, talent, and editing post production services. We can service your video production with an entire crew or support your project with the specific gear or people you need on the shoot. We will crew Camera operators, Sound Engineers, Gaffers, Grips, Teleprompter Operators, Make-up Artisans, Jib and Steadycam Technicians, whomever and whatever you might require. We will make your production happen seamlessly with the best talent and most cost-efficient video services in the St Louis area. A skilled st louis video and film production crew. Whether you need a small interview crew or a full production and creative crew to write, produce, direct and edit, St Louis Video Crew is available for you. Our customers include other production companies, corporations, advertising agencies, and public relations firms. st louis video crew provides quality professional film and video production services in st louis, Missouri. we provide HD video crews, electronic news gathering (ENG) and electronic field production (EFP) camera crews live events, corporate video production, broadcast and taped productions and web videos. we take care of your filming and video production needs by providing equipment with crews, video editing, directing, production assistants, lighting and grip specialists. We can also provide makeup artists and teleprompter operators. Whether you need a small single camera interview crew or a multi camera crew with a studio and green screen, we have the experienced and creative professionals to help make your production a success. Mike Haller, 314-892-1233, St Louis Video Crew Producer. Full service video production, crews and film and video equipment for your production in St. Louis, Missouri. St Louis Video Production Crews. We have just about shot everything! how to work well with people and equipment to make your project successful. 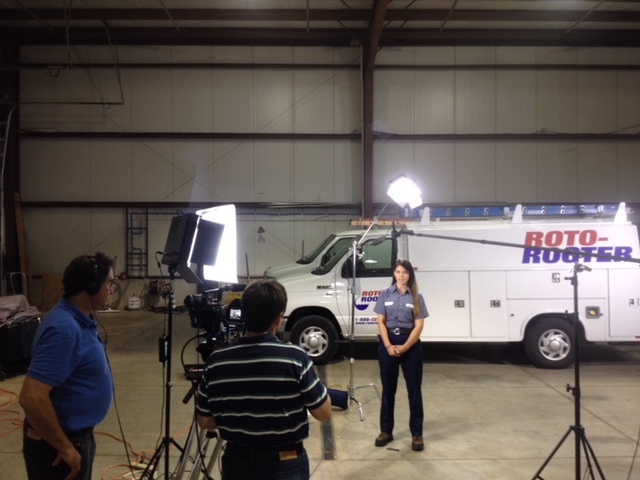 Our crews are fully insured and well versed in video set safety. For St. Louis Video Production, you’ve come to the right professional team. Film and Video Production Crews for automotive automation. Full service video and film production crews, services and equipment. We have traveled extensively to get the right images for the client. St. Louis Video Production in our studio created new promotional spots for a local church helping to increase communications with their congregation. Over five different television and web commercials were created. St Louis Video Editing, Milt Oldendorph, St Louis Video Producer. Still Photography by Mike Haller. Mike shot stills at the client location and in our photo/video studio. Complete video production in St. Louis for this project was the perfect solution with it’s cost-conscious budget. Video taping by St Louis Video Production created this Political Video. A few minutes with Phyllis Schlafly. 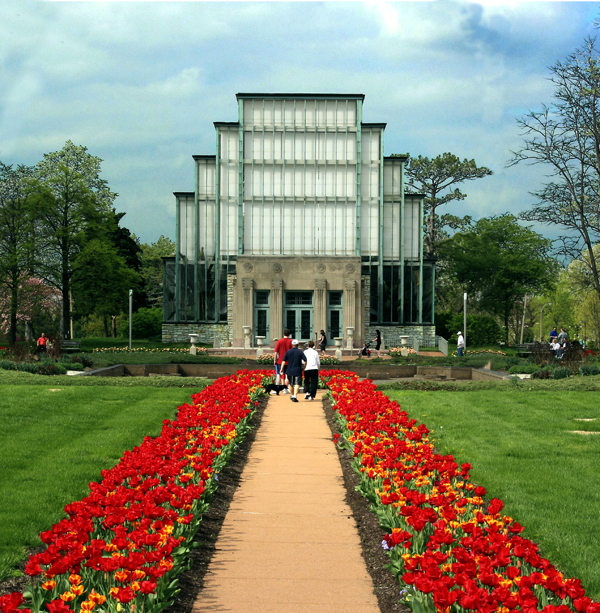 St. Louis Video Crews – Full service video and post production. St Louis Video Production videotaped for a five day period. 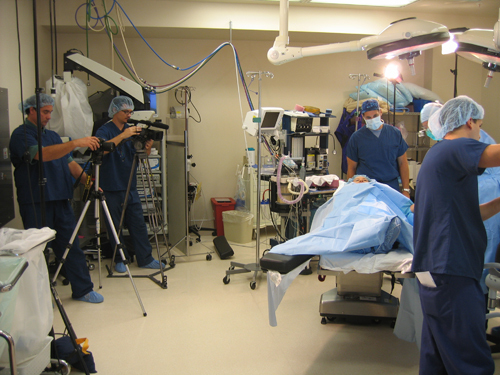 All Video footage was then edited by St Louis Video Studio to create a marketing video and a patient waiting room video. Photographic Images from this shoot were utilized for marketing and publicity. Mike Haller, Director and Rob Haller, Producer. St. Louis Video Production shot in studio for a national sleep product manufacturer. Photo images and video clips for the web and email presentations. St Louis Video Crews Producer, Mike Haller, 314-892-1233. Featuring St. Louis model Denise McCormick. Rob Haller, Producer, Haller Concepts 314-892-1233.